A reader just asked about our post from nearly a year ago that suggested we’ll start a “jargon board” to define terms that we discuss here on the blog. Where is it?, the reader wanted to know. Well, like many big ideas, sometimes they get dropped in the everyday what’s in front of our faces fire to put out. But astute readers hold us accountable, and for that, we thank you. So, let’s start that board as a series of posts with the Category: Jargon. With that, let me start with accountability, then. Often, we hear about “being accountable to stakeholders.” Setting aside stakeholders for the moment, what does it mean to “be held accountable”? It can come in various forms, but most often seems to be providing proof of some sort that you did what you said you would do. TA few weeks ago, for example, a reader asked for the location of the board that we said we would start, and it turns out, we couldn’t provide it (until now). For other times, it may be paying a bill (think of the looming U.S. debt ceiling crisis, in which we are being held accountable for paying bills), or it may be simply providing something (a “deliverable”) on schedule, as when I have to submit my defended and corrected thesis by a particular date in order to graduate this spring, or when you have to turn in a paper to a professor by a certain time in order to get full credit. In the research world, we are often asked to provide progress reports on a yearly basis to our funders. Those people or groups to whom we are beholden are one form of stakeholders. They could be the ones holding the purse strings or the ones we’ve committed to delivering an exhibit or evaluation report to as a contractor, making our client the stakeholder. This blog, actually, is the outreach we told the National Science Foundation we’d do to other stakeholders: students, and outreach and research professionals, and serves also as the proof of such outreach. In this case, those stakeholders don’t have any financial interest, but they do want to know what it is we find out, and how we find it out, so we are held accountable via this blog for those two purposes. All too often accountability is only seen in terms of the consequences of failing to provide proof. But, I feel like that’s really just scratching the surface of who we’re accountable to, though it gets a lot more murky just how we prove ourselves to those other stakeholders. In fact, even identifying stakeholders thoroughly and completely is a form of proof that often, stakeholders don’t hold us to unless we make a grievous error. As a research assistant, I have obligations to complete the tasks I’m assigned, making me accountable to the project, which is in turn accountable to the funder, which is in turn, accountable to the taxpayers, of which I am one. As part of OSU, we have obligations to perform professionally, and as part of the HMSC Visitor Center, we have obligations to our audience. The network becomes well-entangled very quickly, in fact. Or maybe it’s more like a cross between a Venn diagram and the Russian nesting dolls? In any case, pretty hard to get a handle on. How do you account for your stakeholders, in order to hold yourself or be held accountable? And what other jargon would you like to see discussed here? 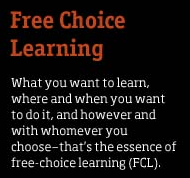 Posted in Free-Choice Learning, Jargon, Methodologies, Partnerships, People, Stakeholders. Thanks for starting this “Jargon” category Katie, and I appreciate the approach to accountability. Meanwhile here is a link for a youtube video you may find interesting to look at the debate on jargonizing in grounded theory for those interested: http://www.youtube.com/watch?v=r6RpQelvS1k. Great! I think Laura will have some thoughts on this, too, so this will give her fodder for her upcoming posts as well. Looking forward to the discussion!